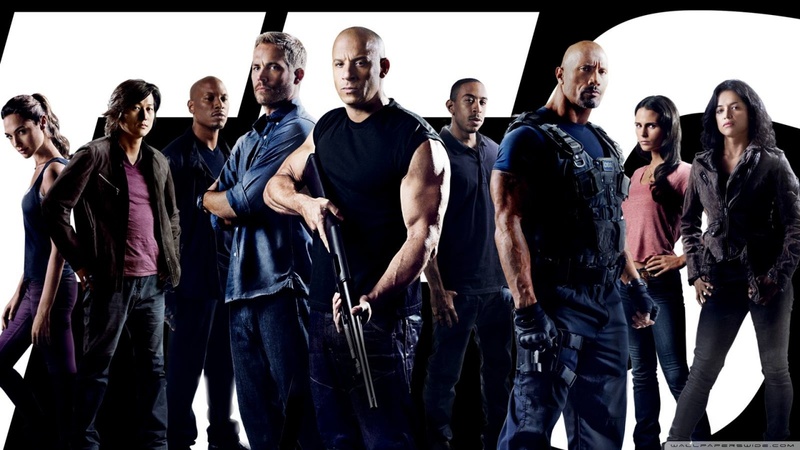 Furious 7 is estimated to make an obscene amount of money when it is released at the end of the week. In fact, box office experts have predicted that it’s on course to make $275 million across the world over its opening weekend. According to Comic Book, more reserved industry insiders have predicted that it will bring in at least $225 million by the close of Sunday. However, others have estimated that this amount could be raised by $50 million. In order to try and match the anticipation and fervor for the latest installment to the hugely popular franchise, Universal has decided to give the film the widest domestic release in the studio’s history. In the United States, it will be opened on 4,003 screens, while across 63 other territories, it will be opened on a further 10,500 screens. However, the income for the film is set to be increased even further because Furious 7 is being released on IMAX across the globe too. Furious 7 isn’t opening in every territory across the globe on Friday, though. It will be released in the lucrative territories of Russia, China, and Japan on April 9, April 12, and April 17 respectively too. The Hollywood Reporter has predicted that Furious 7 will amass $115 million alone at the North American box office over this weekend. If that’s the case, then it will be the most successful ever film to have opened during April. However, that’s not accounting for inflation in ticket prices. The previously domestic record for a movie opening in April came last year when Captain America: The Winter Soldier grossed $95 million. According to Box Office Mojo, in order to claim the record opening domestic weekend total Furious 7 will have to eclipse 2012’s The Avengers’ $207 million, Iron Man 3’s $174 million, Harry Potter and the Deathly Hallows Part 2’s $169 million, The Dark Knight Rises’ $160 million and The Dark Knight’s $158 million. Fast & Furious 6 previously took in $117 million over its four-day Memorial Day weekend in 2012, and it ultimately grossed $788.7 million. Furious 7 has been met with hugely impressive reviews by critics ahead of its release on April 3. The seventh installment to the series stars Vin Diesel, Paul Walker, Dwayne Johnson, Michelle Rodriguez, Jordana Brewster, Jason Statham, Chris Bridges, and Tyrese Gibson, and while the latest edition cost a cool $250 million to make, it’s almost certainly going to add exponentially to the $2.3 billion the series has amassed already. Furious 7 has also been dedicated in the memory of Paul Walker, who died on November 30 halfway through the shoot.